I’m a big fan of free. Especially at the airport. So here are a few of the items I included in a slide show of great airport promotions that I put together for CNBC Road Warrior. 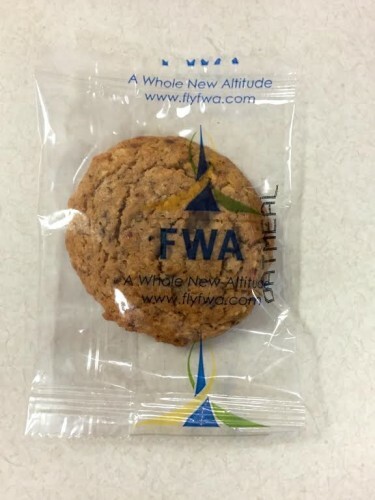 Volunteers at Indiana’s Fort Wayne International Airport welcome arriving passengers with a cheery greeting and a complimentary cookie baked and individually wrapped by nearby Ellison Bakery. They’ve been doing this since sometime in the late 1980s and, by December 2009, handed out their 1 millionth cookie. Don’t worry if you’re too late to get a cookie from one of the treat-toting Hospitality Hosts; there’s an after-hours self-service cookie stand. On both Mother’s Day and Valentine’s Day, volunteers at Jacksonville International Airport hand out more than 1,000 colorful carnations to passengers. The parking promotions at Oakland International Airport is a very nice, money-saving perk. Through April 15, travelers leaving from OAK on any airline heading to any destination in Hawaii or Europe can get up to five days’ free parking (worth up to $110) in the airport’s Daily Lot. 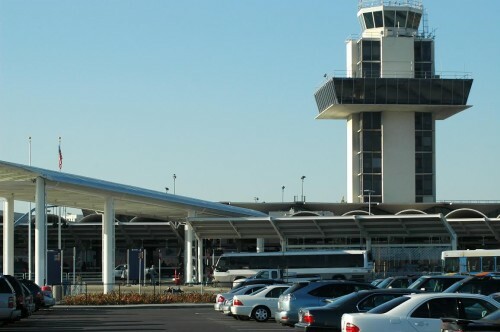 Passengers flying to any destination in Texas can get free parking (up to $66) through April 15 as well. Many travelers dread going to the airport this time of year for fear of encountering long lines at the security checkpoints, delayed or canceled flights due to bad weather and cranky fellow passengers taking their one flight of the year. You may indeed have to put up with a bit of that, but you’ll also find that many airports go all out this time of year to offer entertainment and amusement for holiday travelers. Santa Claus is scheduled to make regular visits this season at airports stretching from Philadelphia, Pennsylvania to Helsinki, Finland. DTW KaraokeLots of airports present occasional music performances or concerts series year-round, but during the winter holidays it seems there are carolers and choirs in every concouprse. Denver International Airport offers its live “Wintertainment” in the Jeppesen Terminal, with carolers and instrumental holiday music from December 14 to 24 and a world music festival from December 26 to 30 that features music of Latin America, Germany, Japan, England, the Middle East, the Caribbean and many others world regions. Pittsburgh International Airport (PIT) has a Holiday Concert Series underway through December 20 with choruses and jazz bands from area schools performing in the Landside Terminal. Holiday karaoke is on tap at from 11 am until 7 pm on December 19th and 20th by the water feature in the center of the A Concourse at the McNamara Terminal at Detroit Metro Airport. And, as is the holiday tradition at Austin-Bergstrom International Airport, December’s Music in the Air schedule includes the Judy Lee Dancers (on December 20), a local tap dance troupe whose performers average age 60 and older. In addition to live entertainment every Thursday and Friday afternoon in December, the Food & Shops at LaGuardia Terminal B offer free 10-minute chair massages Fridays through Sunday this month, from noon to five. Shoppers can also take advantage of printed or mobile versions of a 20% off coupon. Kate Spade SaturdayOver at John F. Kennedy International Airport, there’s Kate Spade Saturday holiday pop-up shop open through December 20 in JetBlue’s Terminal 5. Passengers can get the gifts purchased at the pop-up shop shipped for free; pick-up a complimentary “Make Time Fly” booklet filled with word games and puzzles; and enter a daily contest to win a Kate Spade Weekender Bag and a roundtrip adventure for two on any JetBlue route. Travelers who spend as little as $50 on some last minute shopping right through December 24 at Dallas/Fort Worth International Airport this holiday season will also be able to get their gifts wrapped and shipped for free. Beginning December 17, children flying on Lufthansa will be given teddy bears as presents and Cathay Pacific is gathering “Santa Selfies” – Instagram photos of people dressed up as Santa or posing with him – for a contest with a grand prize of two round-trip tickets from the U.S. to Hong Kong.